• DAC Panel: Your IP's Been Stolen — Now What? Don't miss our anti-piracy panel: Your IP's Been Stolen – Now What? If you are a software or IP vendor, be sure to attend this vitally important panel and learn more about how you can protect your company from software piracy and IP theft. Moderated by anti-piracy expert Ted Miracco of SmartFlow Compliance Solutions, the panel includes prominent IP and software company execs and legal experts such as Silvaco, Keysight, KPMG, Arteris, and Wiggin & Dana. The panel is Thursday, June 22, 3:30 - 4:20 p.m., Room 12AB. 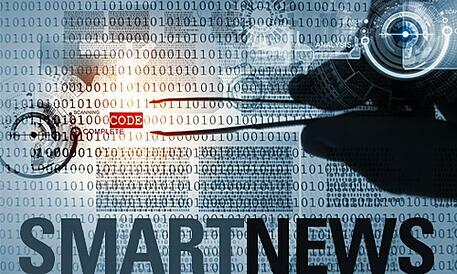 Software vendors need advanced tools and capabilities to act on unauthorized and counterfeit software licenses. It is also important to be able to track the location of the "authorized" usage so as not to run afoul of U.S. or international trade sanctions. Detailed evidence and an organized investigation strategy can help in both suppressing the piracy issue and identifying transfers of licenses or re-export to sanctioned countries. 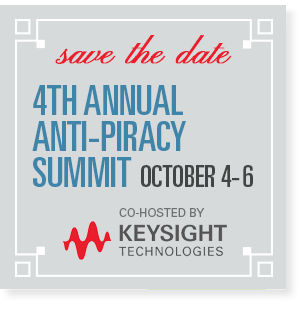 SmartFlow and Keysight Technologies are busy planning the 4th Annual Anti-Piracy Summit, scheduled for October 4-6 in Santa Rosa, CA. This will be another key event jam-packed with expert speakers and the latest anti-piracy technologies and best practices, as well as fun social and networking events that take advantage of Sonoma's world-class wineries. Make reservations now. The Summit is the same week as the Sonoma County Harvest Fair and rooms are selling out fast: Hilton Sonoma Wine Country | Fountaingrove Inn (Ask for the Keysight conference rate at both hotels.) Visit Anti-Piracy summit for more event information.